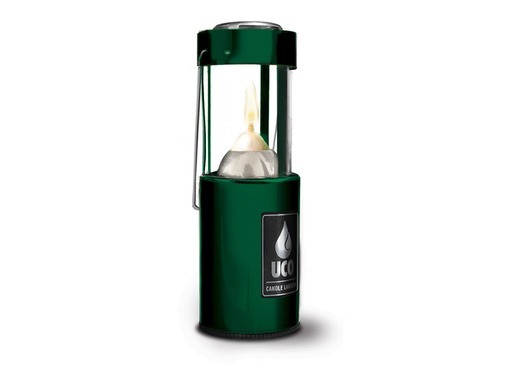 The Uco 9 hour candle lantern is the original and, many would argue, the best of its' kind for a range of outdoor activities and adventures. 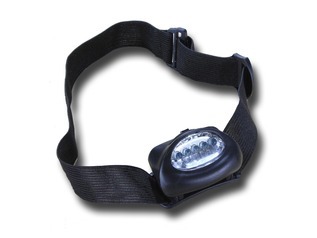 Designed to be eminently portable, this clever camping lantern is easy to pack, lightweight to carry and an invaluable addition to your kit. The lantern's intelligent design enables the glass chimney section to collapse telescopically into the metal base. 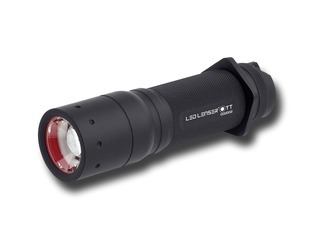 This patented design ensures that the glass is protected when the lantern is not being used and that it becomes far easier to carry from site to site (measuring just 5 x 11cm when collapsed). 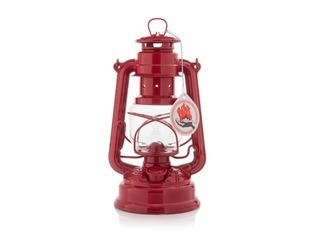 As the name would suggest, this Uco camping lantern can provide 9 hours of warm light from a single candle meaning it is the ideal lantern for camping, navigation in low light and night time bushcraft courses. 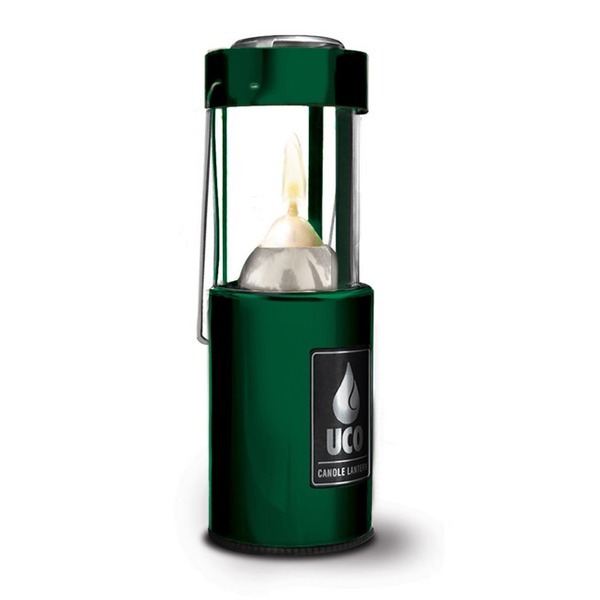 Thanks to its clever design, the Uco candle lantern is incredibly simple to operate and maintain and is fully field-serviceable. Another clever innovation is the spring-loaded candle tube which automatically maintains the height of the candle as it burns down. 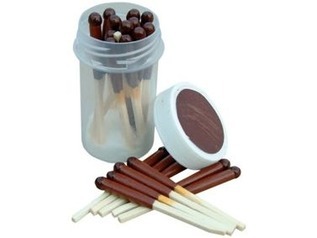 This ensures a constant flame height while also minimising wax spillage. An integrated stainless steel handle makes a perfect hanging point or allows the candle lantern to be easily and safely carried when required. The lantern comes complete with one candle to get you started. 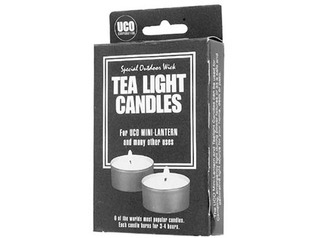 We stock replacement candles for the Uco candle lantern as-and-when you require more. Buy today and find out just why this superb lantern has become regarded as an outdoor design classic. Collapsible - The patented design allows the lantern to telescope closed protecting the glass chimney while travelling or hiking. 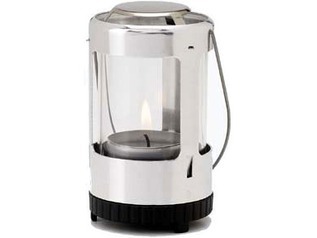 The stainless steel handle makes the candle lantern easy to carry and hang. Constant flame height - the unique spring loaded candle tube keeps the flame height constant while a small viewing window shows how much candle remains. Dimensions Collapsed: 5.0cm diameter x 11.0cm. Dimensions Open: 5.0cm. diameter x 16.5cm.